CWU Southern California-Southern Nevada, a Liaison for National Headquarters offers a unique setting to work for the realization of CWU’s historic commitments to justice, peace, freedom, gender and racial equality. An important part of our work in Southern California-Southern Nevada is to help clarify the moral issues at stake in public policy and to express those concerns to the appropriate persons in the kinds of laws agencies, and policies our government supports. 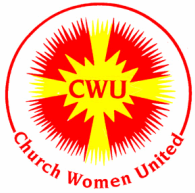 The CWU National Headquarters monitors and supports measures consistent with CWU’s Quadrennial Priorities, social policies and resolutions. Ongoing legislative priorities include public advocacy and action for policies that provide for a society free of violence, with economic justice for all, universal health care, civil rights, arms control, protections for women and children, and support for a strong United Nations.